I’ve been composting in my small apartment for nearly three years now. I find it to be simple and clean. Then again, I don’t actually have a compost pile out back. Full disclosure: I haven’t had the greenest thumb with plants lately, and thankfully, since I live in an apartment, almost all of the gardening is done for me, so I don’t have the space or need for compost of my own. However, my dad has all of the things I lack. He has a large garden to use compost, as well as space for multiple compost piles, and a green thumb. This comes in handy for me. I can save my table scraps in a countertop bin and bring it to him when I visit. Perfect. The EPA lists: enriches soils, remediates contaminated soil, and helps prevent pollution. Plus it offers economic benefits by reducing resources needed for growing plants, as well as offering a commodity that can be sold. Earth911 takes it a bit further, adding that it also helps ward off plant diseases. Residential curbside collection service, Compost Columbus now serves Columbus residences with weekly pickup service. What could be easier than having someone take it all away and handle it for you while diverting your food scraps from the landfill where they do no one any good at all? This is perfect for the urban dweller with little space, and no garden to use the compost in. For the adventure-type, check out vermicomposting. This is not for the faint of heart. I am not afraid of worms, but I also prefer not to have them inside my home nor do I wish to see them on a regular basis. However, I do appreciate all they do for our environment and for that reason, I recommend looking into using worms to compost your food. Got to love worm poop. In addition to helping break down your food scraps into compost, they add another component to your compost that you wouldn’t otherwise have … their mucous; sounds gross but its beneficial and only present in vermicomposting. Lastly, there is the all in approach, where you have plenty of space to collect food scraps in your home and for a compost pile outside. This way is the most involved and you get the added bonus of knowing you take care of it all yourself. Give yourself a pat on the back for this one for sure. You’ll need a place for your pile; either build an open container or purchase one to get going. Then you’ll want to make sure you start adding your “ingredients” into the pile in such a way as to make your black gold exactly how you’re plants will grow best. Make sure to turn it and keep it damp but not too wet. Not enough details for you? Find everything you need to know here and your compost will be perfection. That doesn’t sound too tough, now does it? 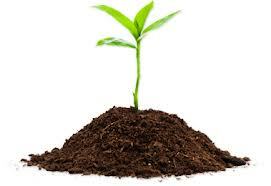 There is certainly a compost solution for any space, budget, and commitment level. For more information on composting come to Green Columbus’ Green Drinks event Wednesday, July 24 where you can ask all of your composting questions and also meet others in the area with similar interests. Our city’s population is almost as large as San Francisco, crazy to think about, but is much farther behind them in terms of composting. San Franciscans divert over 100,000 tons of compost from the landfill annually. Columbusites are getting better at this with the number of restaurants and festivals jumping on the compost bandwagon, but we need to do our part at home as well. There is a lot we can learn from San Francisco, but choosing your composting style from above is a definite start.